Faheem Juma scored 30 points for Zetech but this was not enough to salvage a win against Equity Bank in a Kenya Basketball Federation men's Premier League match at Upper Hill School on Sunday. 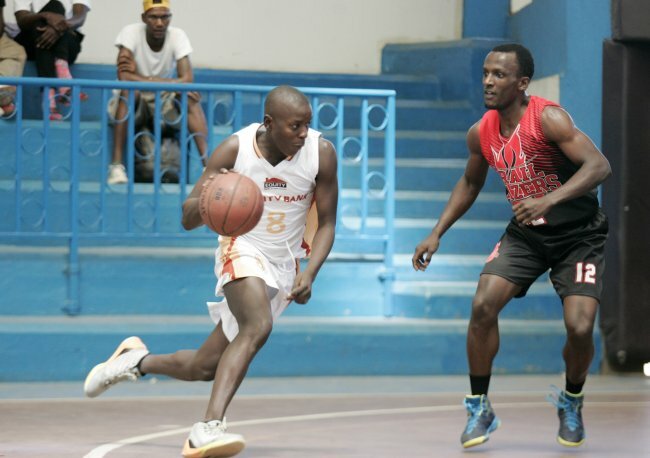 The bankers who led 33-24 at halftime had Felix Omondi scoring 15 points and Alex Lugasi 10. Bobby Onyango also scored 11 points for Zetech. Kisumu Lady Bucks edged out Jomo Kenyatta University of Agriculture and Technology 44-34. Stephany Tongoi scored 13 points and Charity Namisi replied with 12 for JKUAT who narrowly led 22-18 at halftime. In another match, Zetech held a slender 30-21 lead at halftime against Strathmore University before winning 46-40. Lucy Mbithe scored 20 points for Zetech and Edna Kola 12 for Strathmore University. Collins Adodi scored 25 points while Ken Adodi had 19 as KAA sunk Kenyatta University Pirates 80-65. They trailed 35-38 at the break. Bramwell Muchina replied with 16 points and Brian Ondiek 11 for the students. On Saturday, KAA lost 41-55 to Strathmore University. In this match, Nelson Mandela scored 19 points for KAA and Keith Masinde 10 for Strathmore University. Nakuru Club were no match for Upper Hill who won 56-33 with Aweng Deng scoring 11 points and James Garang 10. James Okello was the top scorer for Nakuru Club on 12. Kenya College of Accountancy University (KCA-U) upset Co-Operative Bank 48-41 on Saturday. They sounded an early warning by leading 20-16 at halftime. David Omondi scored 15 points and James Kisali 13 for the students. Job Byron replied with 11 for the bankers. Saturday: Africa Nazarene University 69 Zetech 61, KAA 41 Strathmore University 55, KCA-U 48 Co-Operative Bank 41, Upper Hill 56 Nakuru Club 33.